A new interview suggests that the pontiff believes that LGBT+ priests and nuns should remain celibate, or leave the clergy. 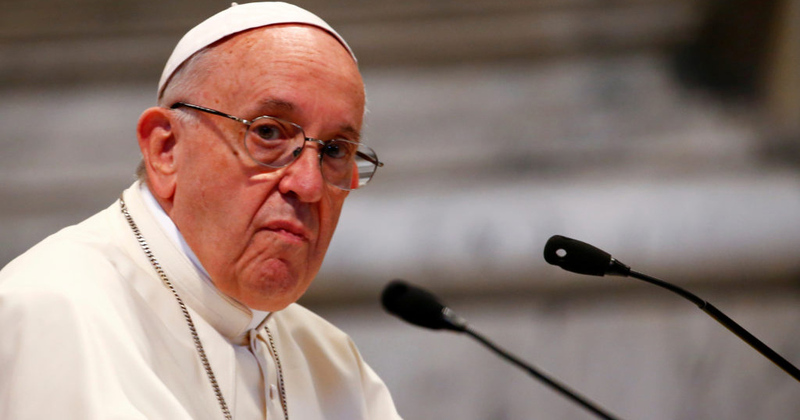 A recent interview with Pope Francis has apparently clarified the pontiff’s position on LGBT+ members of the clergy. An advanced copy of Fernando Prado’s The Strength of Vocation was made available to Reuters, and in it, the Pope makes it clear that LGBT+ priests, nuns and monks are not welcome in the Catholic Church. The Pope’s comments point to an ingrained tendency within the Catholic Church that demonises LGBT+ identities. As he departed Ireland following the papal visit in August, Pope Francis told reporters that gay children should be brought to a psychiatrist. Moreover, last week Cardinal Gerhard Müller claimed that the “moral depravity” of gay men was to blame for the Catholic Church’s history of sexual abuse. Müller’s comments were in reference to the resignation of another cardinal – Theodore McCarrick – who was accused of sexually abusing boys earlier this summer.